Runners are like birds: we love to fly TOGETHER! At the Greater Lowell Road Runners Christmas Run in Lowell, MA. on the Saturday before Christmas for the club's annual Christmas Run. 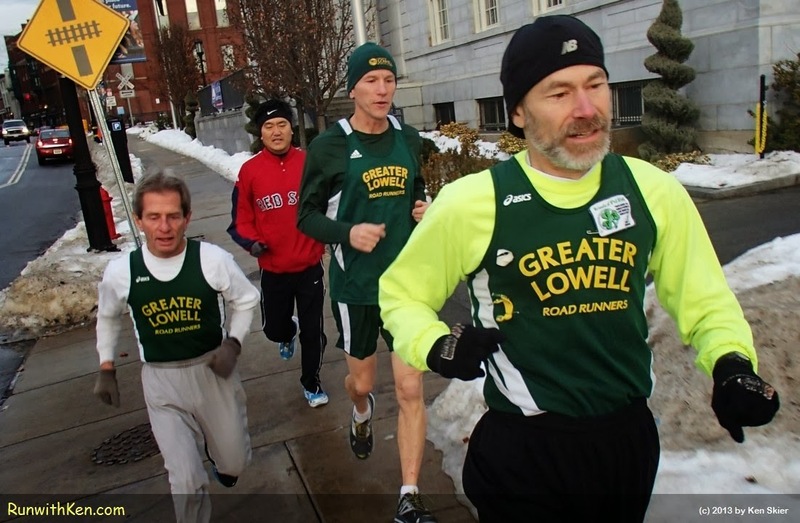 I ran with one group, and took this photo of four runners as we flew down the streets of Lowell.